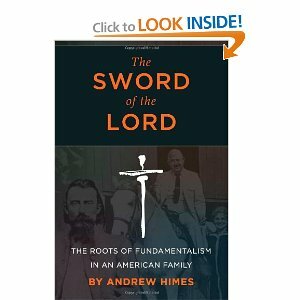 Himes, Andrew The Sword of the Lord – The Roots of Fundamentalism in an American Family, Chiara Press, Seattle, WA Copyright © 2010 by Andrew Himes Release Date: May 15, 2011. A Book Review by Bill Dahl – All Rights Reserved 2011. My personal library contains works by many renowned scholars who have penned books or spent years of their lives exploring the issue of Christian Faith in America…a few of the most notable include multiple volumes written by Robert Wuthnow of Princeton’s Center for the study of American Religion, Juan Williams This Far by Faith, Nancy Tatom Ammerman’s Bible Believers – Fundamentalists in the Modern World, James F. Findley Jr.’s – Church People in the Struggle – The National Council of Churches and the Black Freedom Movement 1950-1970, Charles Marsh’s “The Beloved Community – How Faith Shapes Social Justice From the Civil Rights Movement to Today,” Faith & Violence by Robert Merton, the dozens of books written by George Barna about various dimensions of the life of the Christian and Church in America. Fire From Heaven by Harvey Cox. Carl Henry’s The Uneasy Conscience of Fundamentalism. Then there’s David Garrow’s Pulitzer Prize winning Bearing the Cross – Martin Luther King Jr. and the Southern Christian Leadership Conference. I would be remiss if I didn’t mention the precious three volume set penned by Taylor Branch over three decades – Parting The Waters, Pillar of Fire and At Canaan’s Edge. — Andrew Himes magnificent work The Sword of the Lord – The Roots of Fundamentalism in an American Family has now legitimately thrust itself onto a pedestal of prominence amongst these epic literary contributions. This isn’t just another social history of faith in America – it’s vastly more than that. It’s a personal story. It’s a family history. It’s cultural anthropology. It’s the story of a movement and all the people associated therewith and impacted thereby. It’s the story of how external conditions and circumstances shape belief, practice, love, intolerance and unspeakable violence. It is the story of the evolution of survival – of overcoming what we thought we knew to become something vastly more – hopefully better. Frankly, The Sword of the Lord – The Roots of Fundamentalism in an American Family merits immediate consideration for an honorary doctorate in faith and culture for Himes. This book is a superbly written contribution that occupies a unique space in the literary contributions to the history of faith and culture in America. In Following Jesus Without Embarrassing God, Sociologist Tony Campolo says that casualties result from the pace of our hectic lives in the 21st century: “There’s no time for storytelling, and the art of storytelling is dying”[i] Enter Andrew Himes – who uses his family heritage as a story line going back to the immigration of the Scots-Irish to the U.S. – to present day. From the Missouri slave rush to the Civil War, migration to Texas, the Ku Klux Klan, Wheaton College, The Great War, The Scopes Trial, Billy Sunday, Billy Graham, Bob Jones Jr,. 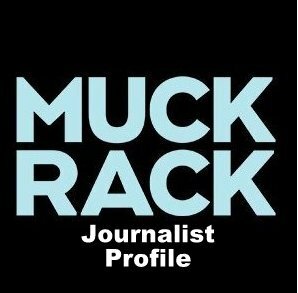 and Sr., the formation of the Moral Majority. Himes weaves a phenomenal story. At times, the story makes you angry. At other moments, it shatters your heart. Christopher Hitchens has said that “religion has been an enormous multiplier of tribal suspicion and hatred, with members of each group talking of the other in precisely the tones of the bigot.”[ii] Unfortunately, the history of faith in America continues to deliver legitimacy to the observation of Hitchens. Himes work does not avoid this cogent reality. Himes uses his research and personal knowledge of the people (sometimes shared with him by elder family members and reams of written materials) in a masterful way to craft a “can’t put it down” page-turner. As it relates to a time in his life when he was forced to confront prejudice and intolerance Himes asks the question, “Where in the world did I get those strange ideas?” (p.216). It’s a seminal question that people of faith rarely confront. Author Steven Johnson suggests: “The history of knowledge conventionally focuses on breakthrough ideas and conceptual leaps. But the blind spots on the map, the dark continents of error and prejudice, carry their own mystery as well. How could so many intelligent people be so grievously wrong for such an extended period of time?” [iv] (emphasis is mine). As it relates to slavery, civil rights, race relations, intolerance, bigotry and war — Himes has the ability to paint a perspective that addresses the two questions above — where most authors simply do not possess either the skill or the stamina. Much of the social history of fundamentalism in America is the impact of certainty and the human equation. Neuroscientist Dr. Robert A. Burton has said in his book On Being Certain – Believing You Are Right Even When You’re Not: “We do not need and cannot afford the catastrophes born out of a belief in certainty.”[v] To some degree, the trials and tribulations – the catastrophes – of the history of fundamentalism are grounded in this ignorantly militant worship of certainty. Karen Armstrong suggests, “Our prodigious knowledge can be at one and the same time be a source of benefit and the cause of immense harm.”[vi] Although not specifically referenced by Himes in this book, it was a thread throughout the story he wove for me. The genesis and impact of dogma and myth inhabit this volume. Himes, once again, provides a perspective few authors are capable of illustrating as profoundly as he has. As the author states, “dogma evolves over time, conditioned by historical and cultural circumstances.” (p. 116). I found his illumination of the Myth of the Lost Cause to be fascinating (p.124). It also brings to mind the ongoing, enduring lifespan of both dogma and myth – as they morph into new manifestations for future generations to wrestle with. For me, one central take away from The Sword of the Lord – The Roots of Fundamentalism in an American – is that my life has a voice, heart, hands and feet. It’s about God, you and me. “It is time that we demand more of ourselves as Christians. We are the hands and feet of Jesus Christ, and if the world is going to see, feel, and touch him, it will have to be through us.”[ix] It’s all about us! God, you and me. Oh what God can do with a broken heart! Thank you Andrew. A magnificent, unexpected, sorely needed literary masterpiece. Destined to be a timeless, classic contribution to the history of faith in America. DEVOUR THIS BOOK!!! [ii] Hitchens, Christopher god is not great – How Religion Poisons Everything, TWELVE – Hatchette Book Group USA, New York, NY Copyright © 2007 by Christopher Hitchens, p.36. [iv] Johnson, Steven The Ghost Map – The Story of London’s Most Terrifying Epidemic – and How It Changed Science, Cities and the Modern World, Riverhead Books, New York, NY Copyright © 2006 by Steven Johnson. P. 15. [vi] Armstrong, Karen The Case For God, Alfred A. Knopf New York, NY Copyright © 2009 by Karen Armstrong, p. 64. [vii] Burchett, Dave When Bad Christians Happen to Good People – Where We Have Failed Each Other and How to Reverse The Damage, Waterbrrok Press, Colorado Springs, CO Copyright © 2002 by Dave Burchett, p. 5. [viii] Armstrong, Karen The Case For God, Alfred A. Knopf New York, NY Copyright © 2009 by Karen Armstrong, p. 320. [x] Taylor, Daniel The Myth of Certainty – The Reflective Christian & The Risk of Commitment, InterVarsity Press, Downers Grove, IL Copyright © 1986, 1992 by Daniel Taylor, p. 26. Lord. Thank you Bill for being willing to hide yourself on behalf of people like Andrew Himes. Thanks for your fine review, Bill. Andy Himes is one of the most interesting people I’ve ever met, and his book is fascinating. (Full disclosure: I wrote the Foreword to the book.) Reading it has given me a fuller understanding of the role of religion in 20th Century American culture and politics. Even more important, as a born and bred “northern liberal Christian type,” my heart has been opened more fully to “the other.” In this case, that means fundamentalists who were once caricatures to me but now, thanks to Andy, are three-dimensional people with whom I can empathize and find some common ground. In our time of radical polarization, any book that can accomplish something like that is worthy of high praise.